Re: SWBPL Norton alerts of Black List of my NEW domine; How can I fix it? I can have the Norton Safe Web Team re-evaluate your website. First though, I do need the name of your website. Once I have that, I can contact the Safe Web Team. Thank you for providing your website. I will notify the Safe Web Team. Please stay tuned to this thread for a response from the Safe Web Team on Tuesday night after midnight EDT. They will re-evaluate your website. 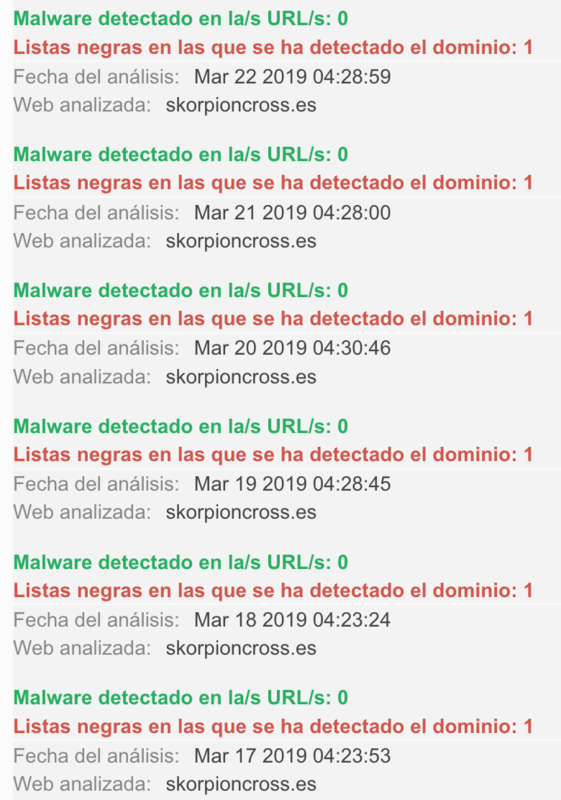 We have manually analyzed your site 'skorpioncross.es' and found it to be clean so we have changed its rating to green. Good Luck with your website. It is now re-evaluated as Green OK.. Since your issue is now solved, could you please pick the post which solved your issue and please mark that post as your Solution.? Just click on Mark As Solution on the bottom of the post. If you have any questions about picking the solution, please ask away. The solution should be the post of your choice as long as you have a good reason for picking that post. Thank you very much floplot. Now my website´s domine is on green rating. After your interest, someone of Norton has changed it manually, when founding it clean of any thread. I strongly recomend this way to solve any similar issue anybody ever suffers with SWBPL email black lists!!! Thanks a lot!!! !